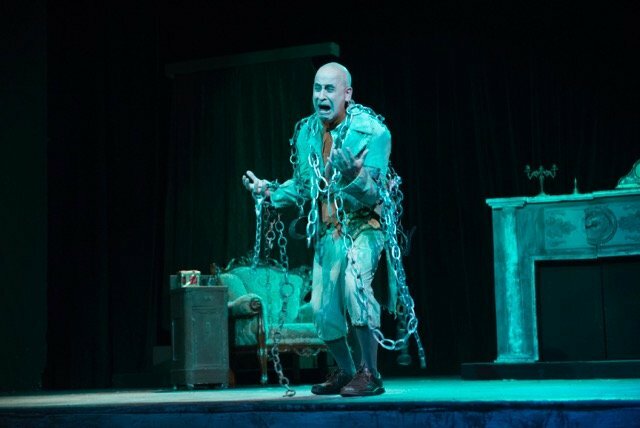 The ghost of Jacob Marley, Scrooge’s late business partner, comes rattling in his chains onto center stage. 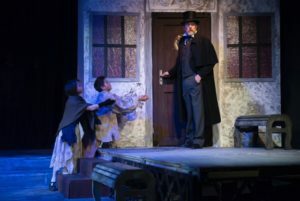 The Kelley Theatre Center is currently presenting the Charles Dickens holiday classic, “A Christmas Carol,” the story about the miserly Ebenezer Scrooge and his realization of how he had changed for the worse as he became embittered in life, courtesy of three ghosts who take him on a review of his past, present and future. A younger Scrooge has a happier life, as shown to him by the Ghost of Christmas past. The 22 member cast and crew, 10 of whom are participating in their first play either as an actress/actor or as an assistant, help bring this Christmas classic to the Stuttgart community. 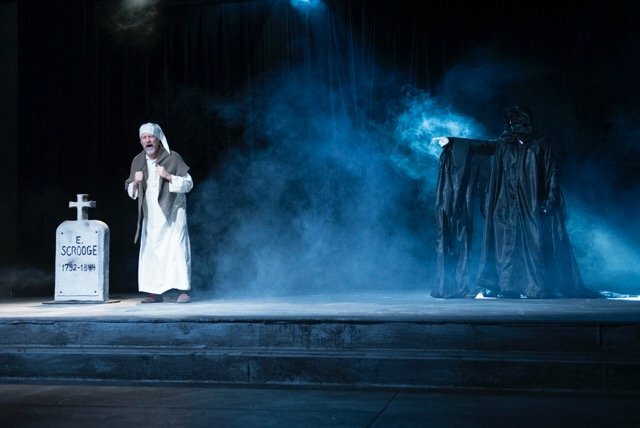 As always, the stage setup is outstanding, but for this play, kudos really have to go out to Carena Walter who was responsible for the costume design. The details and creativity of the costumes helped take the audience to the era of the play. There is no doubt, her creativity was truly showcased in the custom she designed for the ghost of Christmas present. Keeping the costumes on was probably present ghost Mike Taylor’s biggest challenge when performing his role. Although not a musical, the cast really does a great job of melding the various holiday songs into the script of the play as most of the songs are sung as a chorus. Before his transition, Ebenezer Scrooge turns a deaf ear to the entreaties of poor children. The majority of the newcomers are children and hopefully they will continue to bless the stage with their presence as they do a great job. 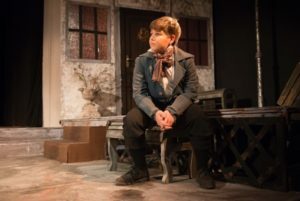 The play is led by a talented group of veterans such as: Edward Gaietto, who is outstanding Ebenezer Scrooge, Matthew Holmes, who shines in his role as Bob Cratchit, David Burmedi, who plays a gnarly Marley, and Ryan Coffey, who literally shines as the ghost of Christmas past. Performances will be held Dec. 7, 14 and 15 at 7:30 p.m. and matinees on Dec. 2, 9, and 16 at 3 p.m. A special invited performance for Exceptional Family Member Program participants will be held Dec. 8 at 3 p.m. The price of admission is $17 for adults, $15 for students and children. To reserve seats, call the ticket office at 421-3055 or 0711-729-3055, 12:30 – 5:30 p.m., Tuesday through Friday. 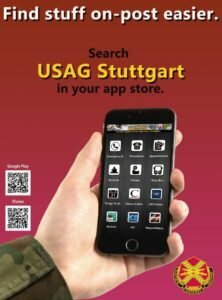 You can also go on-line at: usarmy.stuttgart.imcom.mbx.theatre-center@mail.mil. Scrooge is confronted with his possible unhappy fate by the Ghost of Christmas Future.